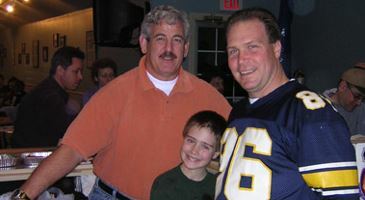 Lake Parsippany has many clubs which members can join and get involved in. For more information, check the clubs individual page. Sailing Club meets the 2nd weekend in June at the Boathouse to provide sailing lessons to new members of the Sailing Club or as a refresher for existing members. All members must abide by Coast Guard safety requirements. For additional information, visit the Lake Parsippany Sailing Club web site. Fishing Club meets once a month. 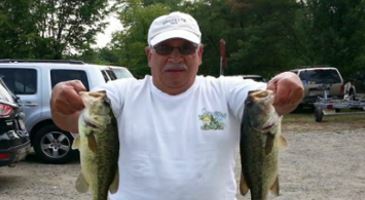 The club holds special fishing contests, supports a catch and release program and solicits sponsors for our annual lake stocking. Book Club meets to discuss books frequently during the year and is open to everyone. 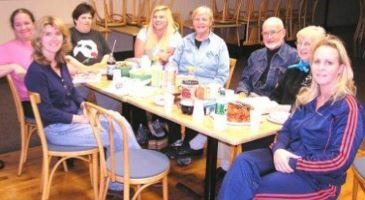 Men's Club meets socially on a consistent basis and the group assists with various LPPOA events. Kayak Club The Kayak Club is an informal, participatory, seasonal gathering of interested paddlers. Ladies Club meets on the 3rd Monday of every month. 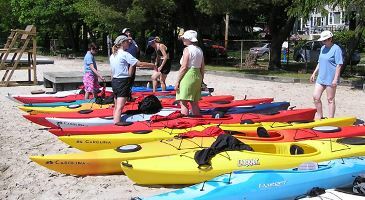 The club sponsors programs for its members and guests, contributes safety and recreational equipment to the lake (through its fund raising program), and provide volunteers to the many activities supported by the Association. 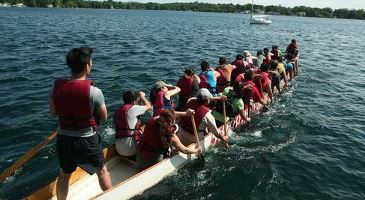 NJ Dragon Boat Club is not a LPPOA sponsored club. 2017 marks year 17 in which the NJ Dragon Boat Club has been at Lake Parsippany.